So, it's been a long work week and I'm in need of sugar. 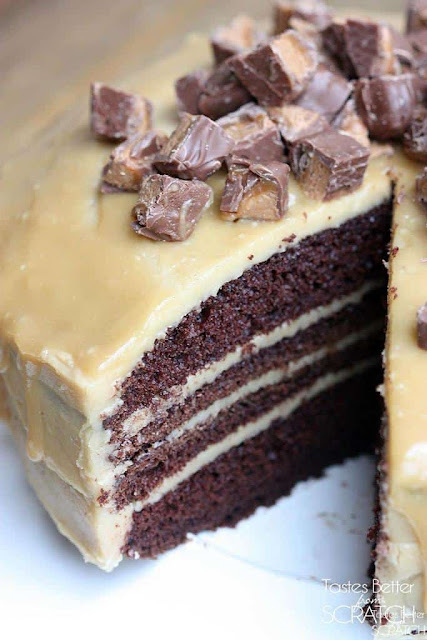 Nothing says sugary comfort food like chocolate cake with caramel icing. The recipe (and photos) comes from Tastes Better From Scratch's website. And since I'm trying to loose weight, I'll probably leave off the chopped up Milky Ways. Oh who am I kidding? I'm leaving off the Milky Ways because I don't have any on hand and I'm too lazy to go to the store. I think it will be just fine without them. 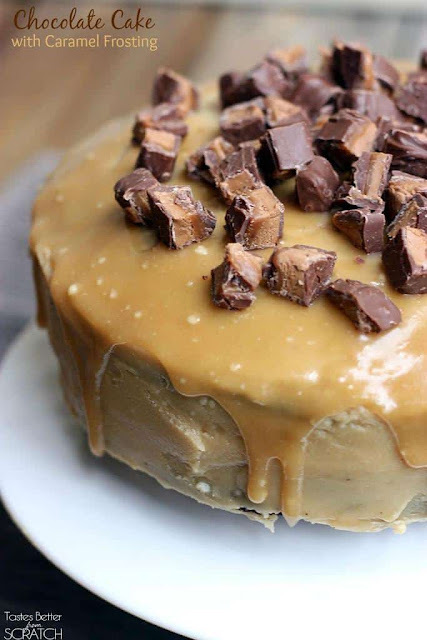 Wow....that is just so darn yummy! O.M.G.!!! I think I drooled on the keyboard!